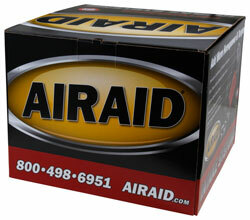 The AIRAID 300-190 fits some Dodge Ram 1500, Dodge Ram 2500, and Dodge Ram 3500 models. See vehicle applications for details. I have an '07 Dodge Ram Hemi and do a lot of driving and this has saved me a lot of money in gas. Not to mention extra horse power with a throaty sound. I would put this on any truck I buy in the future.